We thank God for his wonderful provision for the purchase of the office. Thank you to each person who has contributed. 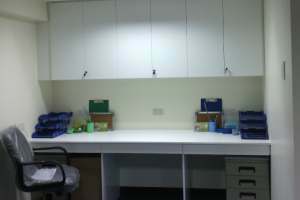 Our Filipino team are very thankful for their new office space and for the fact that they no longer need to pay rent. The team are currently recording in the north of the country and will be appreciative of a comfortable and quiet place to do their editing and programming upon their return. 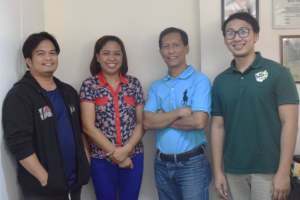 Our Filipino team consists of four people: Jurine, Mary Ann, Francis and Peter. They have a plan and are systematically recording and distributing Gospel messages in the nation's many different languages and dialects. I visited Manila in November 2013. Their office was a house owned by a board member who charged minimal rent. The owner wanted the house back and so the team needed to find new office space. They considered many options. It proved cheaper over a ten year period to buy an apartment than to rent office space and so we decided to go ahead with the purchase. An apartment was purchased in early 2014 to be used as an office. 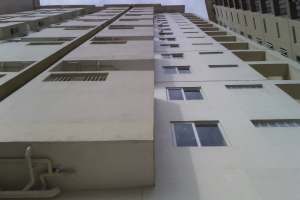 It is a small apartment in a condominium building of many apartments. It has a studio and office space, storage, and a small bathroom and kitchen. It is adequate for the needs of the team. Praise God that it is now fully purchased and providing a good base for our operations. If you wish to support our Filipino team contact Christine Platt in the Australian office. Or you can give here designating your gift to "Filipino Team Support".